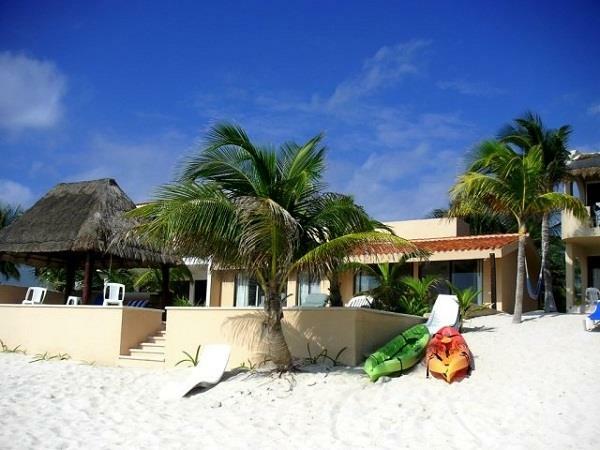 For Sale - The Only Single-level Villa Directly On Magnificent Aventuras Akumal Beach. Three bedrooms & Two Baths. Fully Staffed On Site. Laundry Facilities. Perfection.